Some say life is a game. So is saving money while you shop. You, the player, are pitted against your opponent, the store or retailer who’s trying to get as much of your money as possible. Whoever has more of your money when you leave the store wins. One of the key ways you can outwit your retail opponent is by broadening your shopping sources. Think outside of the box, bin and cart to uncover greater savings and even more value. Skip selecting products that have been conveniently placed (and often carry a premium price tag) and opt to reach for alternatively placed items instead. Let your eyes wander a bit above and below eye-level to avoid falling victim to higher priced products placed at premium eye-level real estate. Venture to different departments and areas of the store to seek out an even better deal. Funnels purchased in the automotive department, for example, cost mere pennies compared to their more pricey kitchen-department counterparts. Paper towels cleverly disguised and labeled as paper “shop towels” in the automotive section are significantly less expensive than ordinary paper towels. 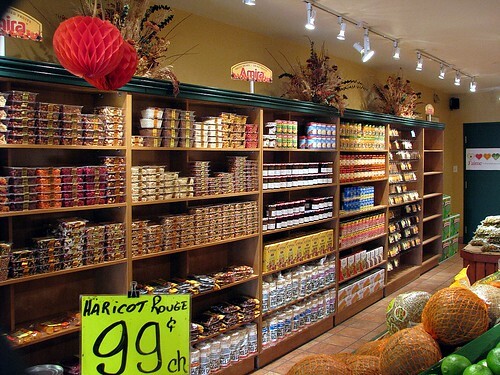 Thinking outside of the ordinary store department or aisle can lead to significant savings. Clearance, discount and markdown bins, call them whatever you want, but I call them a money-saving paradise. Problem is that stores are in business to make money, not to do you—or your budget—any favors. For that reason, these dens of deep discounts will often require a bit of detective work on your part. Very rarely will you find them front-and-center or anywhere obvious, instead you’ll usually find them tucked away for eager Saver’s such as yourself to find them. As a general rule, the farther back you travel in a store, the better the prices you’ll find. This rule also applies to clearance marked items. Whether you’re shopping for groceries or clothing, doesn’t matter. To scope these deals out, check out racks toward the back of the store, aisle end caps and lower product shelves. Just as conveniently placed products can fetch a premium price, stores that offer a wide variety of products don’t always offer the best price on every product. It’s a matter of logistics. Due to limited shelf space, such retailers can only carry so many varieties of any one product, severely limiting your price comparison options. Invest a bit of time sleuthing out the stores in your area to discover which offer the best prices on particular items. Granted, stores that offer one-stop shopping are very convenient, but chances are you’ll pay for this convenience in the form of higher prices. If you’re looking to bring down your shopping bill and start putting money back in your pocket, then remain open to shopping a few different sources. To each his or her own; leave food to the grocery stores and paper products and health and beauty products to discount retailers and you’ll undoubtedly leave more money where it needs to be – with you. $1.66 per 12oz. box (or $2.18 per pound) Reaching for a lower shelf and opting for the generic brand can save you over 20% instantly! $9.99 You’re body likely won’t feel a difference, but your wallet sure will. You’ll save a whopping $38.46 per bottle! $0.93 per pack A quick stop in the candy aisle and a willingness to pick up more than one pack at a time can save you an easy $0.26 per pack or 20%!